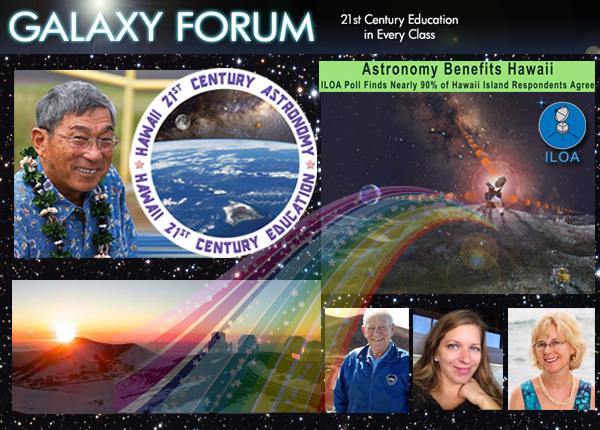 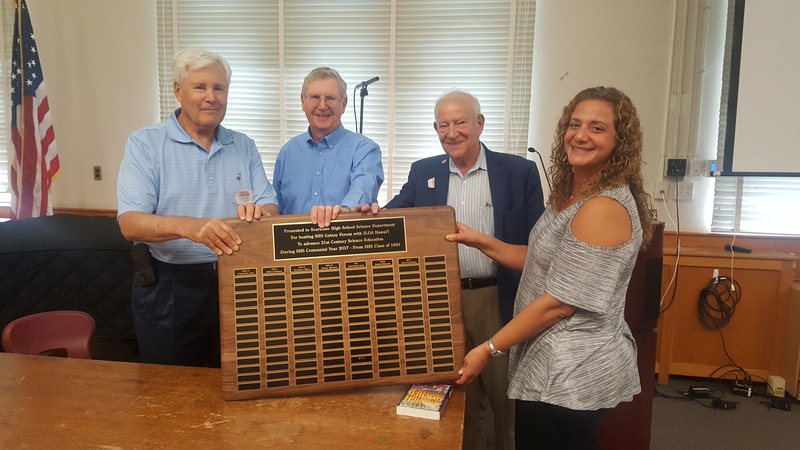 Galaxy Forum Hawaii 2017 was a huge success inviting participation from nearly 60 International Astronomers, Scientists, NewSpace representatives, local innovators, educators, students, and interested members of the public. 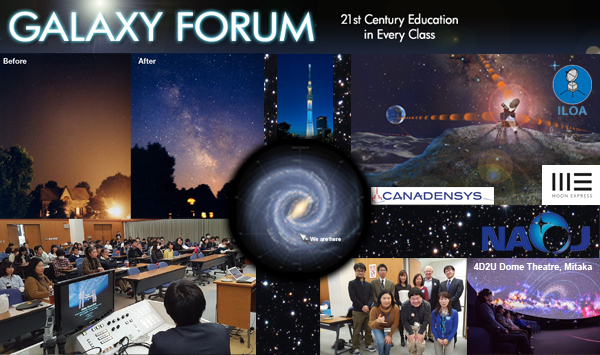 ILOA Galaxy Forum China 2017 on the theme Astronomy from the Moon and International Human Moon Missions takes place 14:00-17:00 on Monday 5 June at the Beijing International Convention Center. 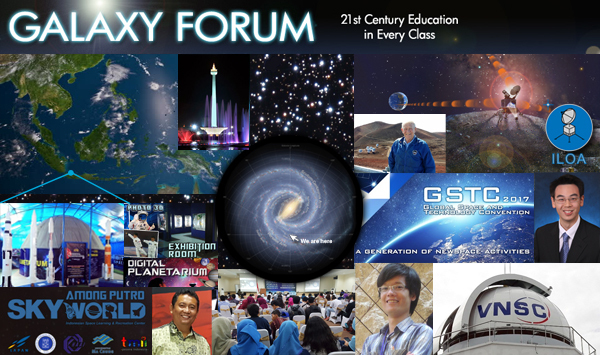 It is open to GLEX delegates and others. 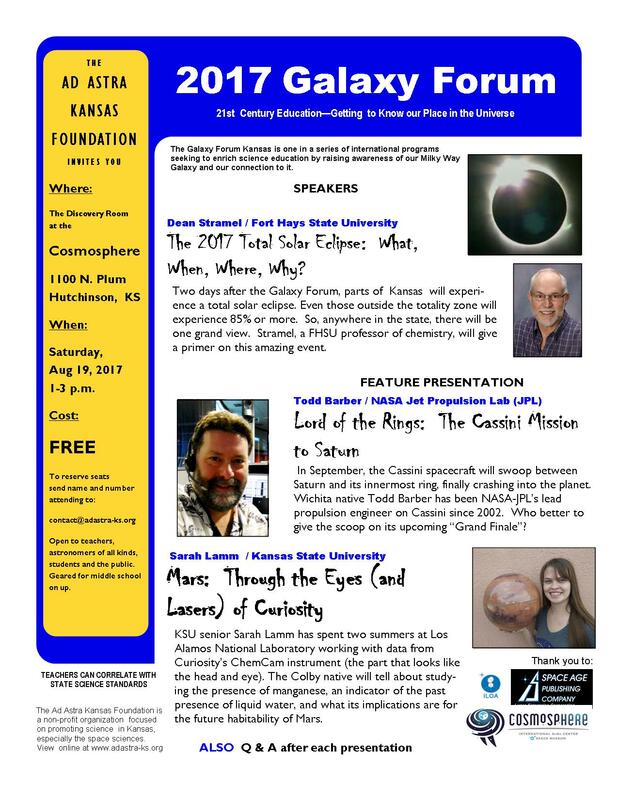 To register contact info@iloa.org. 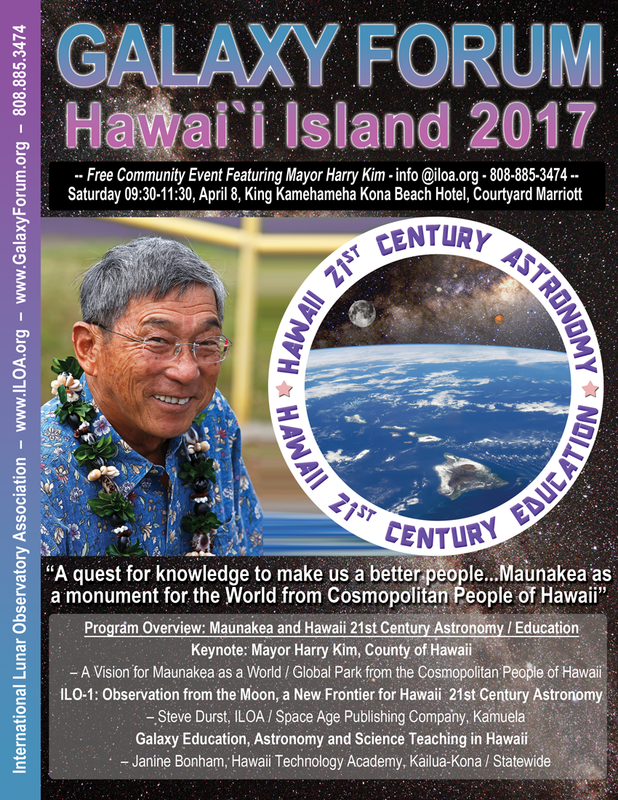 Featured speakers confirmed to date include Andy Aldrin representing Buzz Aldrin’s Sharespace Foundation, Steve Durst of International Lunar Observatory Association, Wang Jing of the Lunar Ultra-Violet Telescope program at National Astronomical Observatories of China, Christian Lange of Canadian Space Agency and Dr.Guo Linli of the Institute of Manned Space System Engineering at China Academy of Space Technology, and Hakim Malasan of Bosscha Observatory at Institute of Technology Bandung. 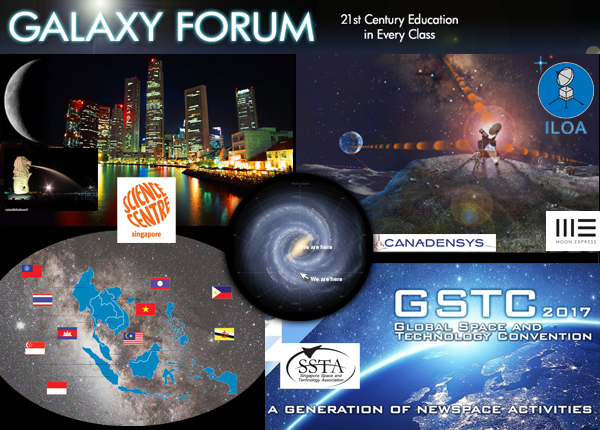 The ILOA Galaxy Map for 21st Century Education in Every Class, ILOA Moon South Pole Vision artwork, and Chang’e-3 / LUT Pioneering Astronomy from the Moon poster were made available to each Galaxy Forum China 2017 participant.